When you don’t need a large wedding cake this one fills the bill. 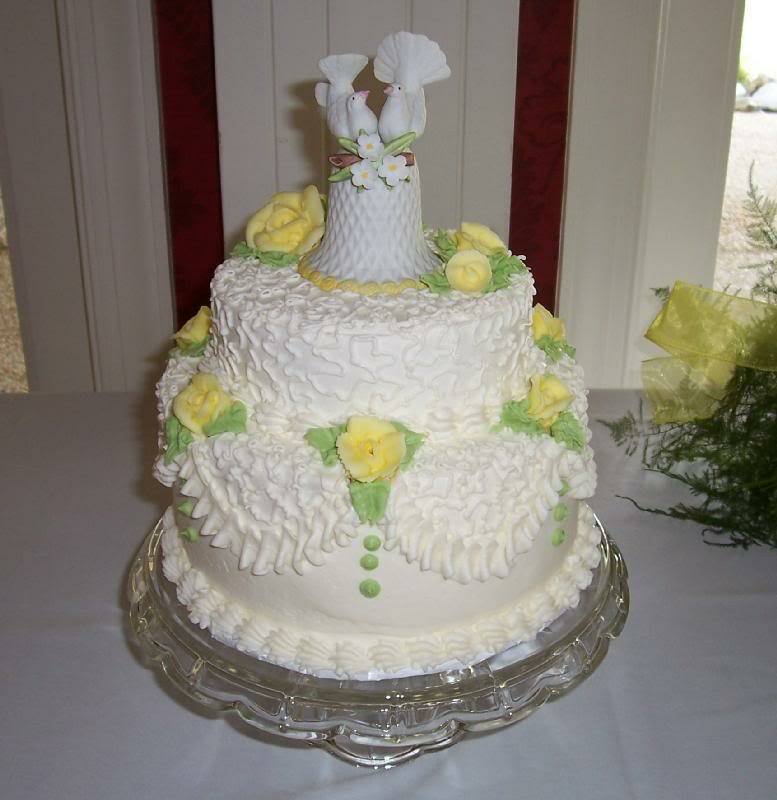 Small 2 tiers 6″ & 10″.with ruffle drape, lace design and yellow roses. The ornament on top, a bell with 2 love birds.